WestJet and Delta Air Lines have finalized a joint venture agreement, as they move towards closer cooperation between Canada and the USA. The agreement will expand on the carriers' codeshare agreement and allow them to jointly coordinate schedules and plan growth, co-locate at key airports, provide reciprocal frequent flier benefits, and cooperate on cargo operations, Delta and WestJet say in a joint statement on 19 July, 2018. "WestJet continues its drive toward becoming a global airline, and the signing of this agreement marks a major milestone in that journey," says Ed Sims, President and Chief Executive of WestJet. "The joint venture will allow us to maximize our existing partnership with Delta to benefit customers by bringing greater competition to the trans-border market." Delta and WestJet serve 63 trans-border markets, connecting 11 airports in Canada with 26 in the USA in July as FlightGlobal schedules show. WestJet's Sims told FlightGlobal in April that WestJet hoped for approval by the end of 2018, pending a mid-year application to regulatory authorities. Augmented and Virtual Reality (AR and VR): The past few years have seen an increase in AR or VR popularity among travel and tourism companies, and the trend is set to continue. These technologies are being used either for content marketing or to enhance the customers’ experiences. For example, airlines have started using VR technology to show travellers the cabins in advance, in order to increase ticket or ancillary services sales. Artificial Intelligence (AI): AI is behind many evolving technologies and innovations in the travel and tourism sector. 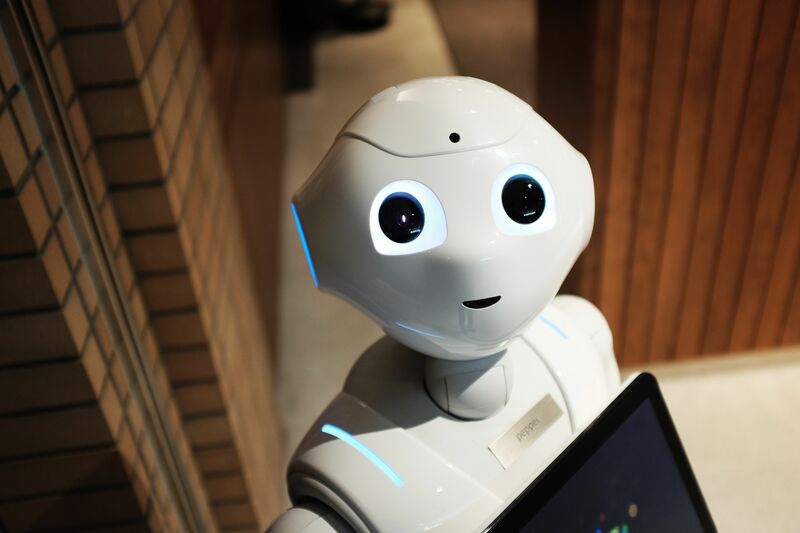 The ways in which it helps the industry can be classified into three major categories: Machine Learning, ChatBots or TravelBots, and Robots. Thanks to AI, operations which usually require human intervention and a lot of time to learn new skills, can be automated, thus speeding up processes, while improving quality and performance, and decreasing costs. Internet of Things (IoT): IoT has a lot of potential to shape the future of the travel and tourism industry, and companies have started to realize that. An example of an industry player using IoT to reduce anxiety and stress levels associated with lost bags is Lufthansa. Passengers can track their baggage via a link found on their mobile boarding pass in the Lufthansa app. Voice Technology: Voice technology is another digital novelty that is beginning to disrupt the travel and tourism sector, as more and more customers switch from typed-in search to voice interactions. More and more hotels have started experimenting with voice-activated devices. Among them are: W Austin of Marriott International, Kimpton Alexis Hotel, and Westin Buffalo. Wearable devices: Despite a sluggish start, travel and tourism companies are gradually using this technology to offer customers a more personalized and united experience. For instance, the Walt Disney Company deployed a wearable, customizable, RFID-equipped MagicBand, which connects to the theme park infrastructure, to reduce waiting times and track guests’ locations and activities. Did you know about the annual insurance policy for your travel needs, business or pleasure? Does your business travel take you out of the country? We all hope our travels run smoothly every time—but what if they don’t? You wouldn’t want to be on the hook for costly medical expenses in a foreign country. And you wouldn’t want to deal with the headaches from losing your luggage or losing money on a trip you had to cancel. That’s where travel insurance comes in handy. And whether you travel for business, pleasure or both, Manulife Global Travel Insurance can help protect all of your travels for a full year with an Annual Plan. UNIGLOBE has teamed up with Manulife as their trusted travel insurance provider to offer you this affordable coverage. A full year of coverage: You’re covered for an unlimited number of trips for 365 days from the effective date. Savings: It often costs less than two Single-Trip Plans, so it will likely save you money if you travel for business and pleasure. Convenience: You don’t have to worry about purchasing insurance before every trip for a whole year. Flexibility: Choose the Annual Global Medical Plan for medical-only coverage, or choose the Annual All-Inclusive Plan to cover emergency medical expenses, baggage loss, trip cancellation and more. You can also choose a maximum duration for each trip of 8, 16 or 30 days—and the Medical Plan also gives you a 60-day option. For more information about Manulife Global Travel Insurance, contact your UNIGLOBE travel consultant.